Bed and Breakfast Villa Cetta 50mt distant from the sea with garden and solarium. Baia di Trentova is a new family-run farmhouse. It is situated on a hill, in Agropoli, within the Cilento National Park. affittacamere con piscina "ungias 33"
AN AUTHENTIC 17° CENTURY STONE BUILT COUNTRYHOUSE IN THE HEART OF CHIANTI WITH MAGNIFICENT VIEWS ON VINEYARDS AND OLIVE GROVES. RELAX AND REFRESH ON A HOT DAY OVER THE SWIMMING POOL. CAR IS A MUST! 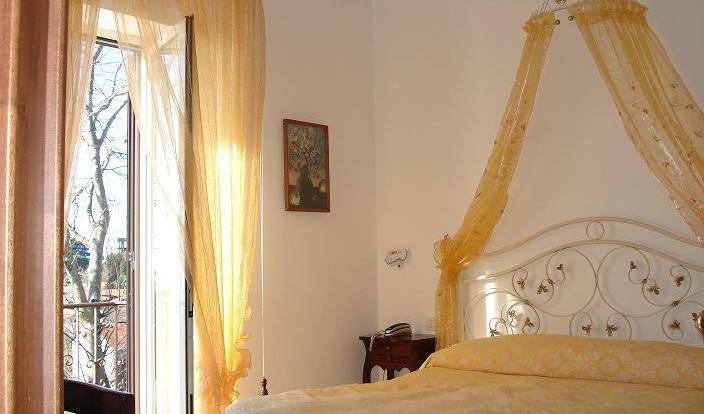 The B&B De Nittis is situated in the centre of town of Barletta (Bari - Apulia). It is near Castel del Monte, Trulli, Matera, Padre Pio, Trani. Just a few minutes by car from Bologna historical city centre, 142 rooms, all with air conditioning, satellite PAY-TV, hotel full covered by Wireless high speed Internet Access . Meeting halls and Outdoor swimming-pool at your disposal. Our bed & breakfast is sited at the first periphery of Bologna, in a quiet and relaxing place. It offers all the comfort of a modern hotel, together with a warm and friendly acceptance; our customers are welcome and important guests for us. The Ca' del Gelso agritourism is housed in a recently restored cottage dating back to the 1800s. Reception room with old fireplace, 7 apartments, garden and internal car park, swimming pool. Restaurant service not available. 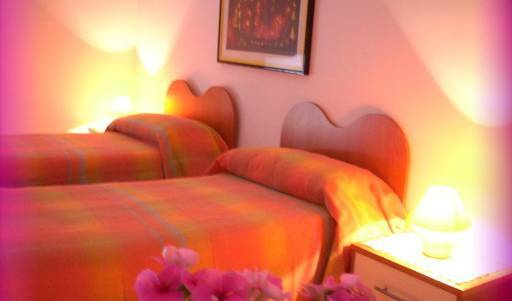 Elegant 4 stars hotel located close to city centre of Brescia on the main road to Lake Garda. Affittacamere Guest Hose Ara. Emozionati in città con poco! Il bed and breakfast l isola felice è immerso nel verde delle campagne pugliesi al centro della vera Puglia. stuttura in pietra ristrutturata da poco, situata in periferia circondata da un verde incantevole rilassante completa di ogni confort tutto vicino al mare, grotte , trulli, zoo safari ecc. ecc. tutto x poter trascorrere una rilassante vacanza. Located 100 metres away from Villa Bellini (the main park of Catania) and 50 metres from the historical market of Catania, in a noble building of the early 30s recently restored. 70 mt. from the sea, Pineta sul Mare B & B is surrounded by greenery, in a place that has preserved the charm of nature. 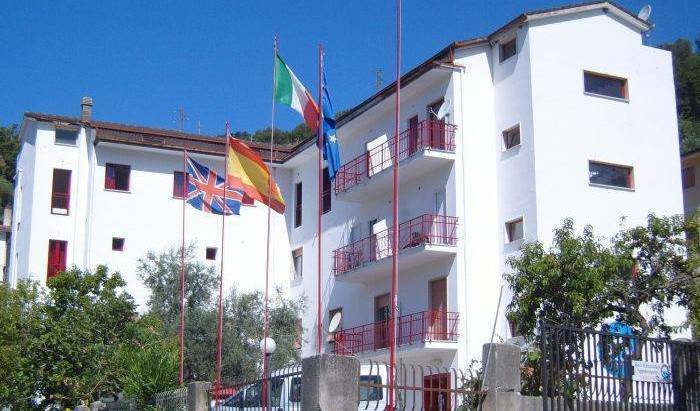 On the Northwestern hills of La Spezia, aside the breathtaking coast of the Five Lands (Cinque Terre), the "Hostel Tramonti" is situated in the ancient hamlet of "Biassa". 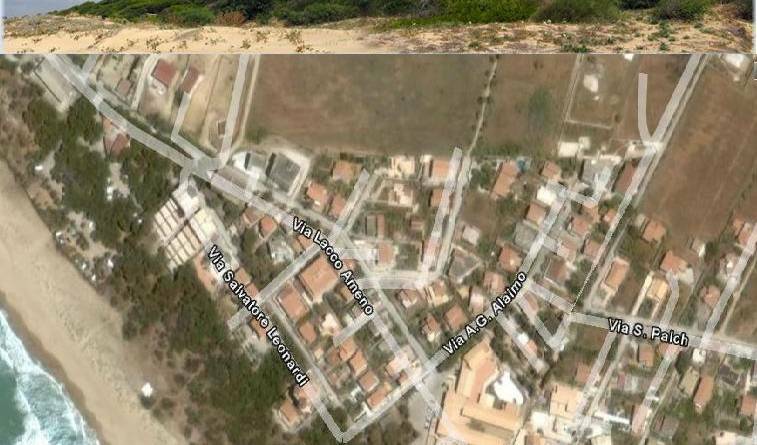 villaggio turistico composto da 24 boungolow in muratura immersi in un in 13 ettari di pini e ginepri secolari , composti da una e piu camere con piccolo soggiorno e ampia veranda, fronte spiaggia e con tutti i servizi per una vacanza in pieno relax. Il B&B si trova nel Parco Nazionale del Vesuvio, con una bellissima vista sul golfo di Napoli. Ha tre stanze con bagno privato e dotato di tutti i comfort. Hotel Emmy, in posizione panoramica a Fiè allo Sciliar, luogo di benessere presso il parco naturale dello Sciliar e dell'Alpe di Siusi. Piccolo hotel accogliente e comodo. The perfect place for your holidays in Rome, just few miles from the airport and beaches. Very near the Fiumicino Intercontinental Airport and the exposition park "Fiera di Roma"
Hotel centralissimo, a pochi passi dalla stazione di Santa Maria Novella, siamo nel cuore di Firenze e da qui potete raggiungere a piedi tutti i maggiori luoghi di interesse. Abbiamo a disposizione 20 camere di vario tipo. Prezzi speciali ai gruppi! ARE YOU LOOKING FOR A CHEAP HOSTEL IN THE CENTRE OF FLORENCE? In the historical centre of Florence. Close to galleria of Accademia, San Lorenzo , Duomo, Train station. Residenza Betta is located in center of Florence very close to Santa Maria Novella train station (just 5 min on foot), was designed to make your stay a memorable one: in fact, in our establishment you will find a vrey friendly and relaxing atmosphere . in a nice home constructed in the late of 1800's century, you will find a kind reception for a wonderful holiday in Florence. Bedrooms are very comfortable, bathroom also, and in the morning you will find a rich italian breakfast! Furnished with great care most of his rooms are in antique style with wooden floor, with Private bathroom. We are a cheap hostel close to Duomo. We offer private rooms in an attractive price ! Very nice B&B in Pistoia- 20km from Florence-Tuscany. rooms with private bath and tv. Relaxing and confortable. Hotel Bretagna, housed in the historically important palace of the Gianfigliazzi family, is a rare treasure for any tourist wishing to spend a memorable vacation. Casa Micol è un affittacamere situato in zona centrale a Firenze. CIMABUE 9 "A home far from home". Villa Ulivi is a beautiful, impressive and luxurious fifteenth century Florentine Villa located close to Florence historic centre. The Hotel is located in the center of Firenze, in an ancient palace "Malaspina" near the Duomo, the railway station "S. M. Novella", the Congress center and the most important museums. Wonderful b&b on the river Arno, Wonderful view! A small and very charming hotel in the renaissance Palazzo Castiglioni located in thecity centre. A few rooms with original frescoes dating from the 17th century and furnished in florentine style with beautiful italian fabrics and antiques. The apartment is located in a perfect position for the ones who want to walk along Florentine characteristic streets and discover the places that make Florence a unique city in the world. Located in the heart of the town, nearby the main tourist attractions. On the most scenic point in Genoa stands the very modern and comfortable Genoa Youth Hostel. Elegant and charming B&B, in the full center of Genoa, Italy. Welcome at Nero Buono! We would love to offer you a pleasant stay in our home to let you experience the way of life of a real Italian family in the rural town of Cori, Latina (Latium Region) reach in history, art and tradition. We invite you to have a rest, spend your holiday or just a few days off far from your daily problems and the city in the Residence Park Alpini. The residence is located at one of the most beautiful mountain lakes of Italy- the lake Idro. n the heart of historic centre, a 16th-century palazzo -Palazzo Astore-, originally an aristocratic residence and later a monastery, now houses the Azzurretta bed and breakfast establishment. Independents rooms with balcony or window. 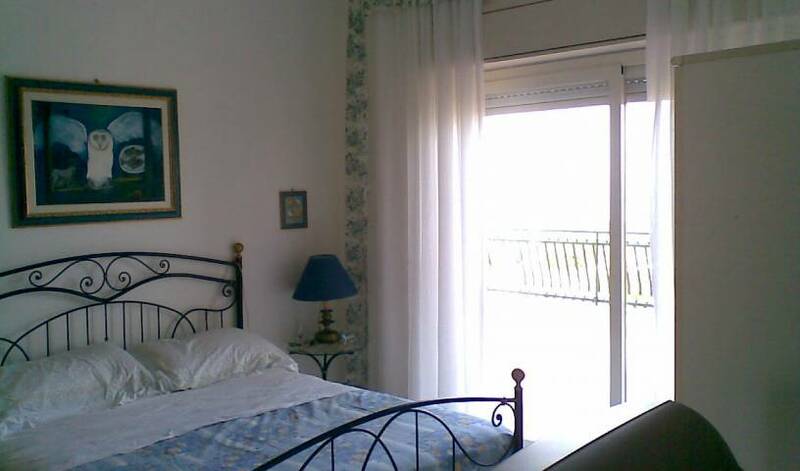 The bed and breakfast is located in the centre of Lecce in a wonderful penthouse with terrace. Guest Houses in Lido di Ostia, the sea of Rome... A few steps to the beach!!! The Hotel Tritone is situated in Lipari, north-east of Sicily - in the "seven pearls" of the Mediterranean - the Aeolian Islands - declared to be a UNESCO patrimony. Il Bed and Breakfast “Il Casale di Nanni” si trova appena fuori la bellissima città Lucca (appena 1 Km...) con le sue uniche mura cinquecentesche che la circondano, ma allo stesso tempo è immerso nella quieta campagna. We offer charming accommodation within the walls of Lucca, in harmony with the mediaeval spirit of the town. Singles, doubles, triples and family rooms available. Residence Santa Chiara is an ancient bourgeois house built in the second half of the 16th century, in the historical center of Lucca inside the medieval boundaries. Villa Mari is our private villa, situated on a hill overlooking the Adriatic Sea, in Abruzzo. Hotel Carmine stands in the heart of Marsala, in Carmine Square, one of the most symbolic sites in the city of Marsala. Modern comforts and original antique decor are intertwined to create a refined setting of unquestionable class. is situated betewwn Fiera-City of Milano and San Siro Stadium Meazza. It is served by the red line underground (station Gambara) which will let you get quickly and comfortably to every place in town. A great deal for the location, comfort, and price offered, the Hotel Bogart is a surprisingly nice two-stars hotel in Milan.